Cuxhaven (renewablepress) - In the annual financial statements published today, PNE WIND looks back on a successful 2017 fiscal year - both in operational and in financial terms. In parallel, the Company began to strategically expand its proven business model with the aim of opening up new areas of business and thus adequately meeting the challenges of international and national markets. PNE WIND is developing from one of the leading wind farm project developers into a "Clean Energy Solution Provider". In addition to wind energy, photovoltaics, storage and power-to-gas technology with a focus on hydrogen will become part of our operational business. Our successful business model is the basis of the strategic expansion: In 2017, PNE WIND completed, started construction or sold project rights of wind farms with a nominal capacity of 233.6 MW in Germany, France, Sweden and the USA. 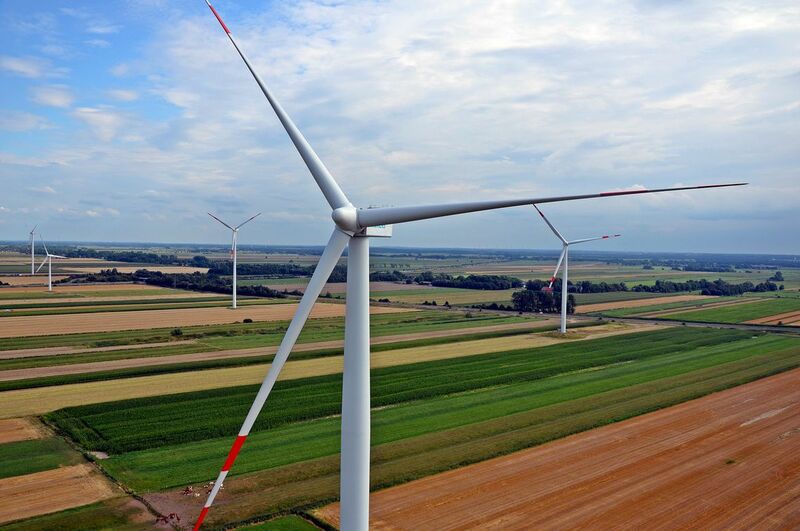 A significant success in this connection: With "Kührstedt/Alfstedt" (43,2 MW), PNE WIND has commissioned the first wind farms for the new European 2020 wind farm portfolio. This portfolio will include wind farms with a capacity of up to 200 MW. In addition, the project rights for an offshore wind farm with a planned capacity of 584 MW were sold in 2017. One more important success of the 2017 business year: By optimising the project financing of the 142 MW wind farm portfolio, part of which was sold at the end of 2016, PNE WIND AG realised a subsequent purchase price payment. At the end of 2017, the company sold the remaining 20 percent stake in the portfolio. In addition, in November 2017, PNE WIND agreed upon an equity financing facility of euro 25 million with IKB Deutsche Industriebank AG for the establishment of the 2020 wind farm portfolio. In economic terms, the past financial year was a success. Operating profit (EBIT) amounted to euro 23.1 million (prior year: euro 97.0 million), which means that the forecast raised during the year was reached. The basic earnings per share amount to euro 0.22 (prior year: euro 0.90). The Group generated total aggregate output of euro 189.4 million in 2017 (prior year: euro 259.2 million). It should be borne in mind that the figures for 2016 were extraordinarily positive due to the partial sale of the first wind farm portfolio. Because of these positive results, the Board of Management and the Supervisory Board will submit a proposal to the general meeting of shareholders on June 6, 2018 to distribute a dividend of euro 0.04 per eligible share. PNE WIND thus consistently continues its dividend policy of recent years and enables shareholders to participate in the Company's success. PNE WIND is well positioned to meet the challenges of the future. The strategic realignment is intended to better compensate for fluctuations in operating business in individual markets in the future. At the same time, the Company plans to open up new future markets offering growth potential with the objective of stabilising and increasing earnings as well as raising the value of the enterprise consistently and sustainably. This requires investments that will pay off in the middle and long term. In spite of this, PNE WIND forecasts clearly positive EBIT in the range of euro 10 to 16 million for the Group. According to the forecast, Group EBITDA is expected to range between euro 20 and 26 million. Creditreform Rating has fixed the corporate rating of PNE WIND AG with BB and a positive outlook (formerly “BB with outlook stable”). According to Creditreform, the rating is based on the considerably improved fundamental data in the last two business years. Publication and Reprint free of charge; please send a voucher copy to PNE WIND AG. Please note: The publisher of this press release »PNE WIND AG« is responsible for the content.